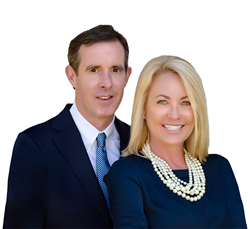 William Pitt Sotheby’s International Realty today announced that seasoned real estate veterans Jaime and Kendall Sneddon, operating together as The Sneddon Team, have joined the firm and will be based in the company’s New Canaan, Conn., brokerage. The top-producing team was recognized in 2017 by trusted real estate news source REAL Trends as the No. 6 team in the state of Connecticut, based on achieving $62.4 million in total closed volume in 2016. The Sneddons stated that they chose to move to William Pitt Sotheby’s International Realty for its broader reach both regionally and globally, with access to buyers and sellers around the world through an extensive network of affiliated firms, as well as its sophisticated marketing, one-of-a-kind media partnerships and unique relationship with Sotheby’s auction house. “Joining forces with William Pitt Sotheby’s International Realty empowers us to provide our clients with every advantage possible,” said Jaime Sneddon. Prior to entering real estate, Jaime served as Group Head of Marketing at Intuit and Vice President of Small Business Services at American Express for over a decade. Kendall served as Vice President at American Express, working directly for the Chief Marketing Officer. In 2005, they opened their own real estate brokerage firm, Project Real Estate, and in the years since have built a robust multi-million-dollar business. They were most recently affiliated with Halstead Property, where they have been consistently recognized for their unprecedented success including Chairman’s Elite Club, Producers Council, No. 1 Agent Team in closed units and closed dollar volume, and Top Listing Team.